Sky Blue Scarves - World Beyond War . . . 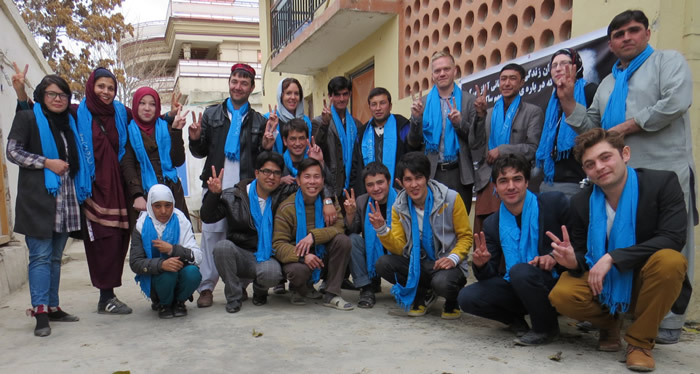 Following the lead of the Afghan Peace Volunteers, World BEYOND War encourages everyone to use sky blue scarves as symbols of peace and support for ending all wars. Use them as ribbons you tie on something too. Get your scarves below on this secure page. They are 56″ x 20″ light-weight polyester chiffon, hand-made. 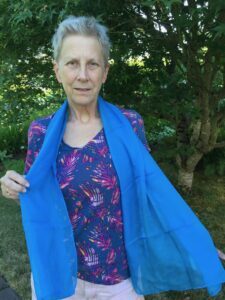 Buy 1 scarf for $25, 2 for $45, 3 for $60, 4 for $75. Add $15 per scarf above 4. To use Paypal go here. Here’s a flyer produced by Afghan Peace Volunteers.